Talking About Ritual Magick: A Professional Pagan Magus? Is Achieving K & C of the HGA Important? Ever since I became more involved with the Pagan and Wiccan community as a writer and teacher, I have become aware of those who write, consult, present workshops and teach others for a living. Some are modest but very successful “magician teachers and consultants” such as Jason Miller, who I have learned to admire and respect. There are many others as well, like Christopher Penczak, who may have been fortunate enough to start out with a good economic foundation to support them as well as being prolific in their vocation. While I might admire these various individuals who can focus all of their time on their occult studies and practices and still have a decent level of material comfort, I don’t envy them. Even if I were handed this opportunity on a silver platter, I would probably turn it down. Why do I feel that way? After all, isn’t that what all magicians and occultists strive for? First of all, I absolutely love the work that I am currently paid to do. I love my job and I look forward to each new challenge and project that I receive. I guess you could say that I am very fortunate in that respect. My career may not have much of anything to do with occultism or magick, but it does give me a great deal of satisfaction. Resolving hairy technical issues and designing new application systems in my field of expertise gives me a sense of pride and accomplishment that functioning as a professional magician and either teaching courses or writing probably wouldn’t achieve. Unfortunately, my identity is narrowly defined by my interests in paganism, the occult and ritual magick, so being able to have a really good paying career completely outside of this narrow world view is actually quite mentally healthy for me. 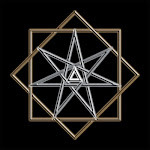 In order to achieve my material needs, I have to compete against many individuals who are quite different than me, and to be successful at it allows me to value myself in a manner that has nothing to do with paganism, occultism or magick. Secondly, I doubt that I could earn the large income that I am presently making if I had to live as a professional magician. I would have to master the art of self promotion and spend a lot of time gathering new clients or students and building up my course work or performing an array of operations to keep them all occupied, so they would in turn keep me gainfully employed. I am certain that Jason has figured out all of these different angles, and I honor him for being able to do all that as well as sharing his knowledge with others for a modest fee. I guess you could say that I prefer my current employment environment where my technical expertise is easily determined by tangible results that I produce every day. A professional magician would function more like a clinical psychologist, often with only some subjective testimonials indicating that the magick worked for this person or that it greatly helped them. As for me, my professional skill-set is constantly being challenged and measured, even certified by an official testing regimen. Since there is nothing like that in the occult world, then claims of self-mastery and teaching accolades would have to be verified by the subjective opinions of various individuals. For myself, I would find this too intangible and tenuous. There is also the problem that if I initiate and teach someone, any fees that I might apply to that teaching would have to be done on a purely “quid pro quo” basis. I could never charge another initiate anything more than what would cover my out of pocket expenses, if even that. Over the past thirty years I have managed to reinvent myself and my career every five years. I have undergone an extensive amount of technical training and certification, and I am now contemplating yet another period of training and self redefinition. This might be the last time that I will have to go through this, but I have found that the more expertise that I have acquired, either through experience or training, or both, then the more important I become to my employers. I have managed to escape a number of layoffs and staff reductions because I didn’t get stuck in a rut and become outsourced, nor have I stagnated for years surviving on past accomplishments. I have always been preparing for the next project or the next job, and strategically positioning myself to take advantage of opportunities whenever they presented themselves. I believe that my flexibility and mobility in regards to learning new techniques have been what has saved me from becoming just another statistic in the never ending gulf of financial inequality that is occurring in this country. I have been lucky, but I have also made my luck as well. Thirdly, if I were to really consider starting a new profession, I would want to try something completely different than what I am doing now. I would love to be a professional writer who writes historical fiction, historical murder mysteries, or even some science fiction and fantasy. I wouldn’t base my writing career on my occult knowledge or by presenting occult classes or workshops, since I would see that more as a spiritual duty rather than a means of supporting myself. In fact, I fully intend on becoming a full time writer when I am finally forced to retire from my current career, which won’t happen for at least another decade or so. I have lots of stories inside my head, along with characters that seem to assume almost an independent life of their own, talking and acting out in my musings and imaginings. I have been told that having those kinds of things in one’s head is a sure sign of being a proficient fiction writer. All I need to do is to develop and master my ability to write, which I am doing right now by writing this short article. Ironically, a part of the reason I got involved in magick and the occult was as means to boost my IT and Programming skills. There is this assumption that people want to make a career out of this stuff. But I'm of the opinion that not everyone wants do that. In my case, I don't really think I have much talent at it anyway. @Soror Abyss-Eyes - Good point. People need to get involved in magic for the magic. Not to be a writer and not to be a professional magician. I am called to those things, as are many others, but they are a by-product of the work - an avenue of its manifestation - they were not the goal right at the start. Most of the best mages I know are neither writers nor professionals. In fact three of them have jobs that require them to be FIRMLY in the closet about any occult activity. My fear is that if my religion becomes my job, then my religion will become a job. I think I'm better off the way things are, doing what I'm called to do while I do what I have to do to support myself and my family. I think you make some good points. It's a lot of work, in any capacity to make money in regards to occultism and I agree with Jason that it needs to be a calling for it to really work (that and having a good business plan.